from materials from the fallout of Ivy Mike on Enewetak Atoll. 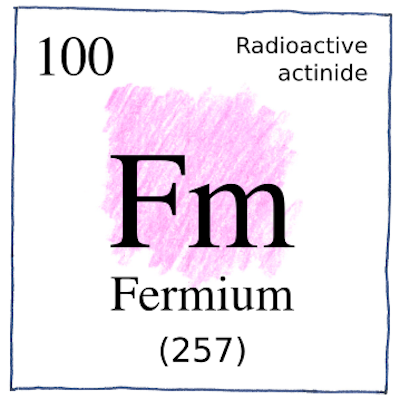 that the element with atomic number 100 had been created. to encounter them in everyday life. the evacuation of the people who had lived there. was the first successful test of a hydrogen bomb. was kept secret because of cold-war tensions until 1955. Knowledge is power, so secrecy, like power, corrupts. The Soviets efforts to build a hydrogen bomb began with the design by Andrei Sakharov and Vitaly Ginzburg in 1949. Sahkarov later became a dissident and activist for disarmament, peace, and human rights. Such a weapon goes far beyond any military objective and enters the range of very great natural catastrophes. By its very nature it cannot be confined to a military objective but becomes a weapon which in practical effect is almost one of genocide. It is clear that the use of such a weapon cannot be justified on any ethical ground which gives a human being a certain individuality and dignity even if he happens to be a resident of an enemy country. . . . The fact that no limits exist to the destructiveness of this weapon makes its very existence and the knowledge of its construction a danger to humanity as a whole. It is necessarily an evil thing considered in any light. Through the release of atomic energy, our generation has brought into the world the most revolutionary force since prehistoric man’s discovery of fire. This basic force of the universe cannot be fitted into the outmoded concept of narrow nationalisms. For there is no secret and there is no defense; there is no possibility of control except through the aroused understanding and insistence of the peoples of the world. We scientists recognise our inescapable responsibility to carry to our fellow citizens an understanding of atomic energy and its implication for society. In this lies our only security and our only hope – we believe that an informed citizenry will act for life and not for death.